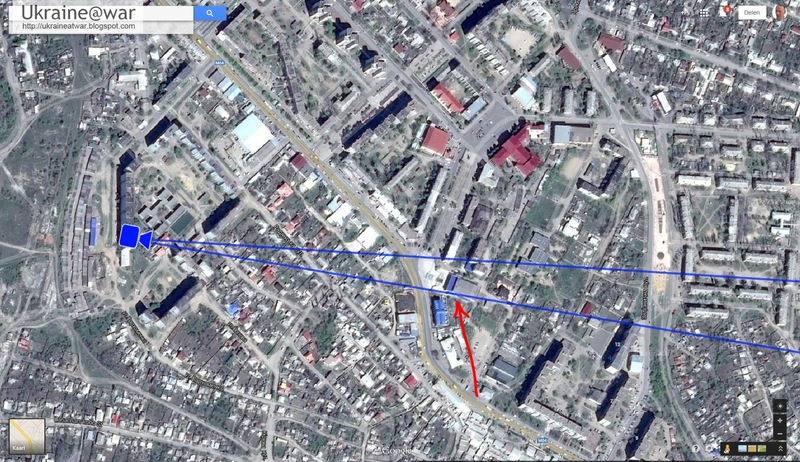 The blueish building is at the red arrow. The green arrow shows the trees visible in the shot. 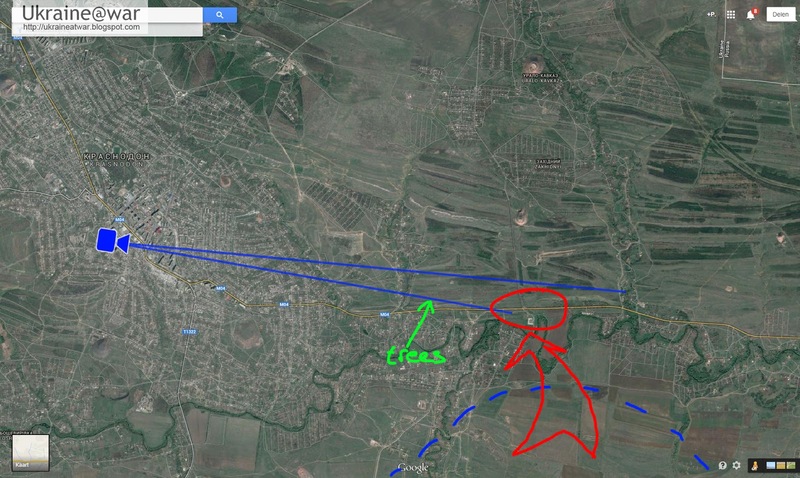 The red circle is the approximate area being attacked. 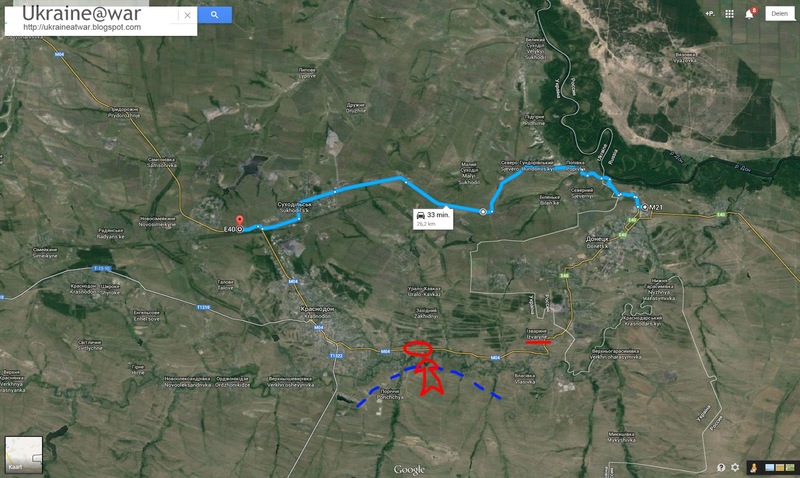 We already know from earlier reports that a Ukrainian company is operating/patrolling in this area (blue dotted line). 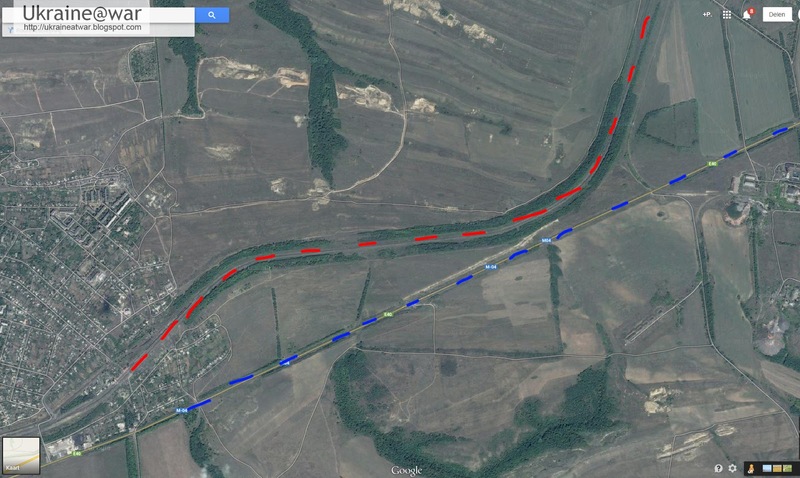 So it looks like they are fighting to get control over the road from the border crossing at Izvaryne to Krasnodon. 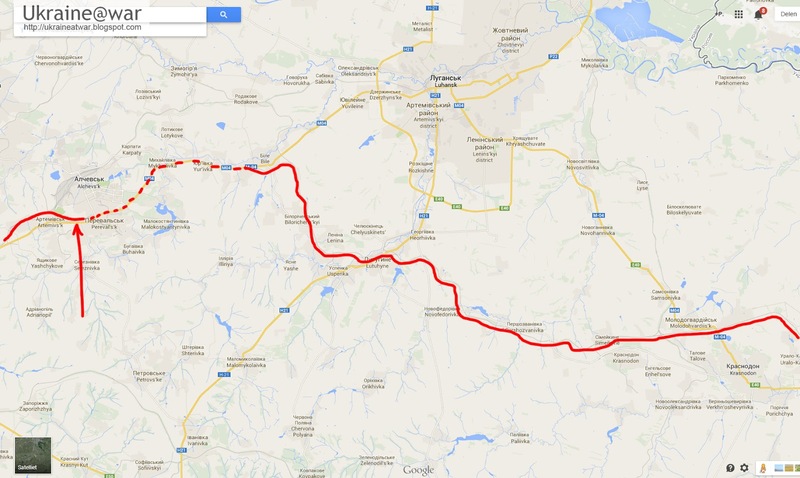 This is the road where on June 20th a convoy of at least 30 Russian vehicles were able to cross the border. See this report. When this road is under attack, it is almost impossible to use it again for such a transport. This looks like this road is closed for any traffic. We can see 3 BMPs and a SA-13 Gopher Air Defense system (also called Strela 10). See Wikipedia entry. It is known that the (pro)Russians turn off the city's cameras when they have a major transport. But then still they have the risk that people with mobile phones film them. It means THEY TAKE THE RAILWAY! To hide the transport from public view, they drive alongside the railway. 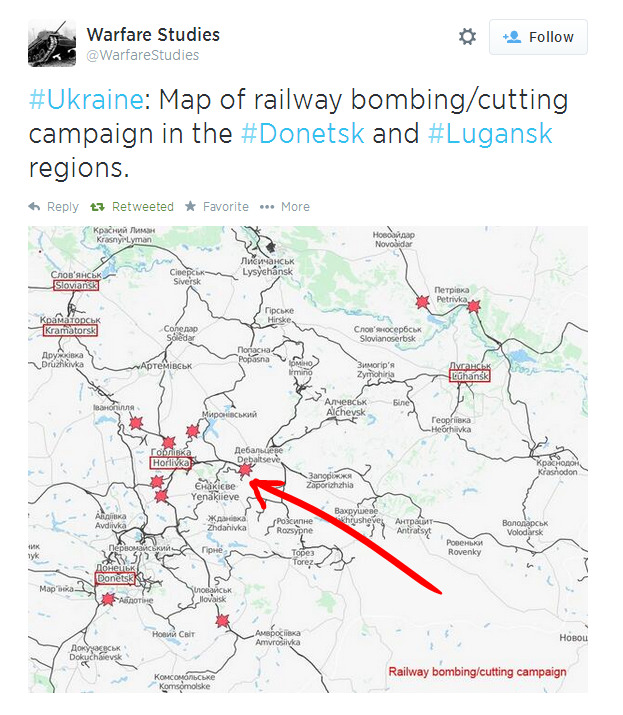 They blew up a all of the railways around Horlivka. This is INSIDE rebel territory. So it is not to prevent Ukrainian transports. There may be two reasons for this: 1. to prevent people to leave the area, because they need human shields. 2. 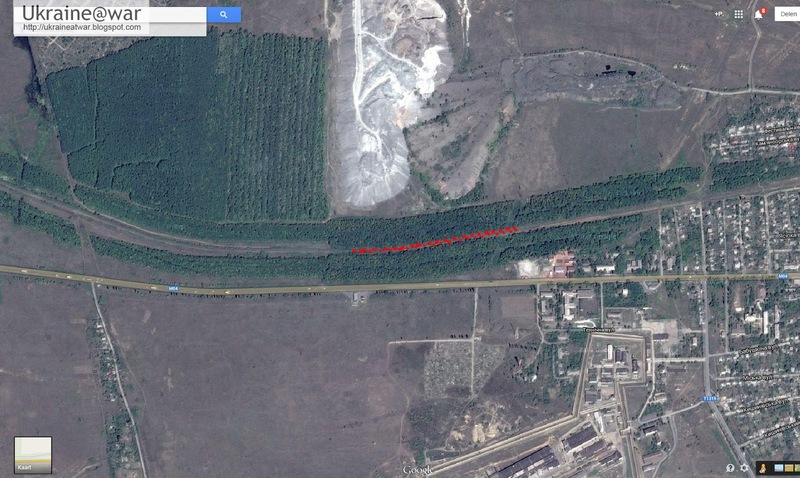 To prevents trains from driving and THUS being able to spot LARGE convoys of Russian armor. 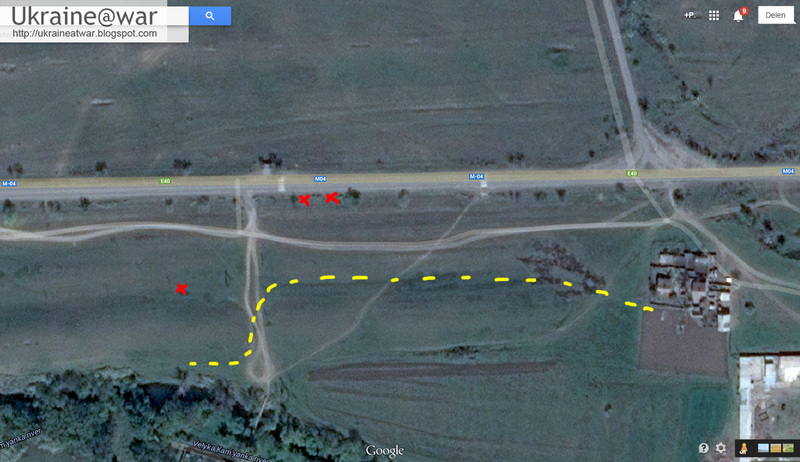 They either have to take a small portion on the road (dotted red line) or they have to make quite a detour. Since they are spotted where the railroad is starting again, they must have taken the road. 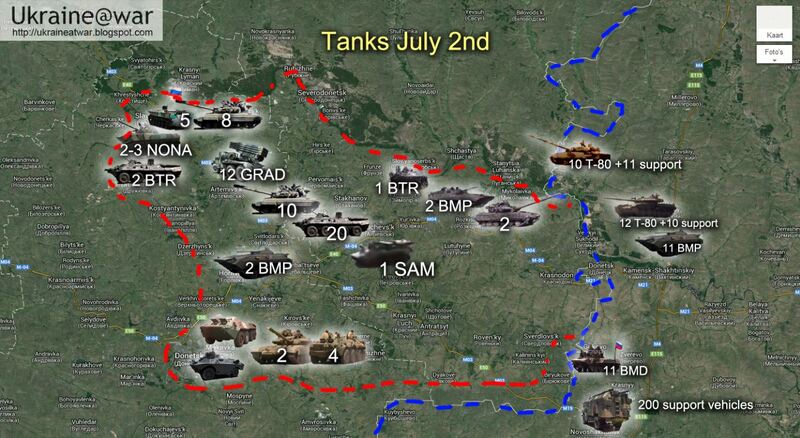 So on July 2nd 24daily.net and 112.ua report about 10 tanks and 10 GRADs being handed over from the Russian to the rebels. This is HUGE! It doubles the amount of tanks they have and they have a devastating amount of GRADs. @djp3tros BMPs are BMP-2s.BTRs are actually some of armored command vehicles based on K1Sh1 (modified BTR-80).Can identify trucks if needed. This could have been the transport for the tanks we have seen above. We can only know for sure when we can identify those.